Tina M. Klein went from being a single mom of three girls struggling financially and having to rely on help from her community to donate over $100,000 with the power of coupons. She shares how to coupon in easy to follow instructions so others can save money in everyday lives for their family and inspire others to pay it forward in their communities also. $0.99 on Kindle. 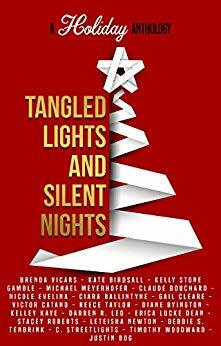 Read for a cause!-Twenty talented, award-winning, and bestselling authors have crafted never before released Yuletide-themed tales about their most beloved characters. All proceeds from sales will benefit the LifeAfter-Visions of Hope project to help suicide prevention, domestic violence, and substance abuse. $0.99 on Kindle.